Aged, 14.1 & 1/4 Welsh Mare. "Poppy" is a proven winner from WT through SS both locally and at AA competitions. Always a top hack prize, adorable jump with auto changes! Video Available online. 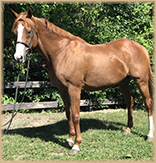 Together with Century Mill Stables we congratulate Rowan and Greta Cain and the team at Winters End Farm on the lease of the wonderful pony "Potpourri"! We cannot wait to see this team at the shows! 2003, 13.1&1/2 Welsh Mare. Perfect first show pony WT through SS. Always jumps and always auto changes. Very reasonably priced! Together with Century Mill Stables we congratulate Madison Dietenhofer on the lease of Cloud 9! This pair trains with the team at Winters End Farm! 2005, 14.1 & 3/8h, Gelding. 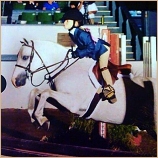 Miles from Short Stirrup thru the Large Pony Hunters (Pony Finals). Kind, brave, uncomplicated. Good mover and jumper with auto changes. A Huge Congratulations to Olivia MaCaulay and the Team at Red Acre on the lease of Rise and Shine! Wishing you lots of success in the Children's Ponies over the next year! With special thanks to The Stenmark Family and Gretchen Anderson of Appleknoll Farm, NH for the opportunity to once again represent this fantastic pony! 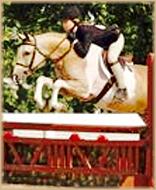 2003 14.1 & 1/2h Welsh x Warmblood Mare. Ribbons @ Pony Finals the past two years in the model this pony is not only beautiful but she is a very good jumper that is always brave and dependable. "Kally" can successfully take a rider from the Children's to the Larges. Video Available online. 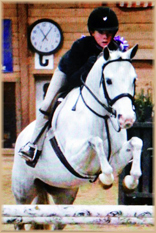 Together with Century Mill Stables we would like to congratulate Woodberry Ponies, NC on the lease of "Call Me Maybe"! We cannot wait to see what the future will bring! 2007, 12.2h Welsh Gelding. Short Stirrup thru the Division. Hack winner, great jump with auto changes. Video Available online. 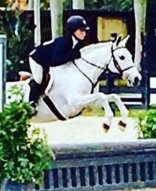 Congratulations to Madison McHugh and the team at Tibri on the purchase of this beautuful pony! Best of luck in the Small Pony Hunters! Teenaged, 16h TB Gelding (huge bodied). Cute and useful has shown xrails thru 2'6. Brave to the jumps with a good lead change. Reasonably priced. 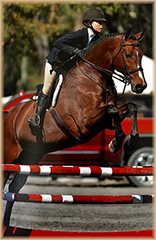 Congratulations to Alexandra Nason and Wild Iris Equestrian Center on the purchase of Snug Harbor. 2000, 12.1 & 1/2h Darling Welsh Pony with a heart of gold. 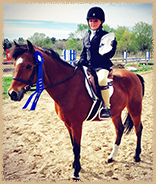 Has taken multiple young riders to their first shows and earned lots of blue ribbons. Three easy gaits even for a tiny rider, cute jump and auto changes. Perfect choice for Leadline, WT, SS or the 2'. Video Available online. Congratulations to Mateo Gomez and the team at Saddle Rowe on the lease of "My Girl." Aged, 12.2h hand Welsh Gelding. Hands down the best first show pony for the tiniest of riders! Former Small Pony Hunter Super Star now enjoys spending his show days winning in the Leadline, WT and Short Stirrup. Easy to walk, trot canter and jump with auto changes. Sound and Healthy! Show record too long to list. Available to a perfect home only! We would like to Congratulate Stella Taglienti and The Team at Saddle Rowe Farm on the lease of our most treasured pony "Just Between Friends"! 2003, 16 hand Gelding. The very best 2'6-3' horse. Moves and jumps well with auto changes. That perfect stepping stone from ponies to horses or a nice choice for an amateur adult. Years of experience and top placings in the Hunters and Eq. Congratulations to Helen Cantwell and Trainer Theresa Lamothe of Rustling Winds Stable, CT on the lease of "Renaissance!" 1999, 14.1 & 3/4h Welsh Mare. Beautiful mover and jumper with an auto change. Perfect for Short Stirrup thru Children's ponies. Congratulations to the new owners of "Joy" wishing you lots of success both in and out of the show ring with this beautiful large pony! 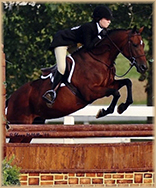 2006, 16.3 Warmblood Cross Gelding. Jumps 2'6-3' with auto changes. Can easily do all three rings! Hunters, Jumpers or Equitation! Congratulations to his new owner! Best wishes for success in and out of the show ring! 1998 13h Welsh gelding. The absolute perfect first show pony for even the tiniest of riders! Leadline, WT, SS. The most comfortable canter and jump with auto changes. Loves attention and has perfect ground manners. Congratulations to Rustling Winds on the Purchase of this incredible pony! 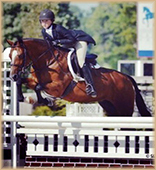 2003 13.1 & 3/4h Welsh Pony. Outstanding mover and jumper with auto changes. A pleasure to have in the barn and to show! Congratulations to Trainer Stacy Falco of Charlesgate Farm on the lease of this special medium pony! 2015 gorgeous Large Pony. Years of local mileage Short Stirrup thru 2'6 but he's still eligible green and will make a fantastic Green Pony Hunter for 2019! Good mover, jumper and auto change! Sadly outgrown. Reasonably priced! Congratulations to Emily Elek-Burtard on the purchase of this fantastic large pony! 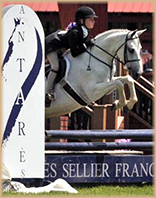 2007 13.2h, Beautiful, Welsh Mare by Champlain Rainmaker. Qualified for Pony Finals 2016. 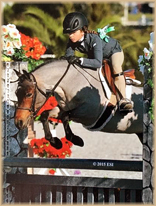 At Pony Finals 2015 "Dreamy" finished top 30 overall in the Medium Greens. 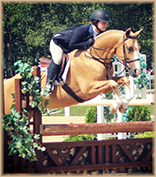 She has also had numerous wins in the WIHS and USEF Pony Medal classes throughout the season. Brave, easy, auto lead change. Just back from lease where she successfully packed a first time Pony Finalist around the Walnut Ring! * Dreamy just came back from an incredibly successful lease in Canada and most recently picked up top ribbons in every Medium Pony Hunter Class @ the Royal Horse Show! Congratulations to Heritage Farm of Katonah NY on the purchase of "Dream Come Blue"! Many Thanks to Emily Elek-Burtard of Stonewall Ponies! 2000 14.1h Welsh/Paint Mare. 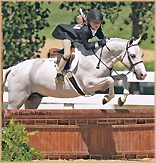 The very best SS thru Children's Pony you could ask for! The best canter with a built in GPS to find the jumps! Auto changes! Sweet and easy disposition not mareish at all. Congratulations to Trainer Sheila Anne Brady of Hillside Meadows on the lease of "Look at Me" for the McCarthy Family! 2005 14.1 & 3/8h Palomino Gelding. Multiple time veteran of Pony Finals! Easily capable of starting a young rider in SS/Children's and moving them up. Always honest to the jumps with a perfect auto change. We can't say enough good things about this pony! He has sadly been outgrown and is being offered for lease only! Congratulations to Aly Reis on the lease of Rise & Shine! This team trains with Tamara Johnston and Rebecca Zimble of Maplewood Farm. 2005 16.1 & 1/2h (permanent card) Holsteiner gelding by Quantum. Imported November 2016. Miles in Europe thru 1.30 competed HITS Ocala 2017 weeks 4-8 Champion 3'3" Intermediate Equitation, Reserve Champion 12-13 Equitation, class winner Adequan Hunters and ribbons in the Low & Medium Children's Jumpers. This horse is beautiful with a huge slow step, great jump and auto changes. Full vetting with complete set of X-rays from time of import. Congratulations to Lucy Exner on the purchase of our beautiful horse Quadalup! We are thrilled he will be going the Apple Knoll Farm Team and Trainer Gretchen Anderson! Aged 12.2h Welsh Gelding. Absolutely auto everything. "Packed" our daughter around the Small Pony Hunters/Pony Finals, when she was only 6 years old. "Bear" is the most incredible teacher you could ask for. Ready to pack and win for his next child. Available only for lease: walk/trot or short stirrup in 6 or 12 month blocks. Congratulations to Bowery Fiocchi and the team at Ivy Rock Farms, NY on the lease of "Just Between Friends!" We look forward to watching this team shine in the show ring together this season! 1997 13.1 & 5/8h big bodied, Registered Welsh Mare. This kind hearted pony will pack & win for a young rider from Short Stirrup and Children's Ponies through the Medium Pony Hunters. Competed at Pony Finals 2015. 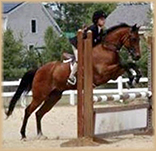 "Mona" is also a fantastic Equitation/Medal & Derby pony! She is returning from lease where she showed a tiny 8 year old the ropes on the Derby Field as well as in the .65 & .80 Jumpers! Don't let Mona's participation in the jumper ring fool you because she could also teach a beginner how to trot, canter, and do cross rails all in the same day! Sound & Healthy. For lease only. Video Available online. Congratulations to Lilly Kendall on the Lease of "Silver Star Mona Lisa"! We are so excited to have this team as part of Victory Stables! Good luck as you make your horse show debut in WT this year Lilly!! !